Why do I love Simply Earth oils? For one, this is not an MLM or pyramid scheme (Multi-Level Marketing) so there are no middlemen, no other reps who need to make their commission too, no aggressive sales consultant to deal with and we won’t be recruiting you. I promise you that. Just lovely oils, and an opportunity each month to enjoy our workshops, and of course at any time you would like to purchase, you can purchase what is in stock or I can special order for you. So, if the oils seem interesting to you, then ask questions and Diana and I will answer to the best of our abilities. I am simply a retailer but I assure you Simply Earth’s oils are 100% pure, sourced directly, and tested, and cost you less. Make a Difference! Simply Earth donates 13% of their profits to Fighting Human Trafficking. See more about Simply Earth below. Quality oils for under half the price. We sell our pure oils to you directly. No middlemen, no upcharges. Sourced from the best farms around the world, GC/MS tested, and backed by our Simply Pure Promise. As a company who supplies products to enhance the beauty of our customers, we at Simply Earth believe it to be our responsibility to help people whose beauty has been abused. The average age of an individual forced into human trafficking is 13. That is why when you shop Simply Earth, 13% of our profits go to help fight human trafficking. 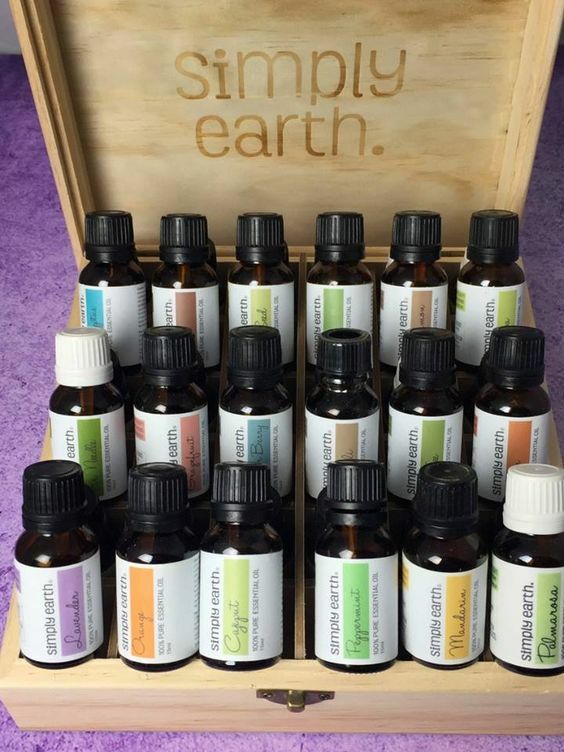 Essential Oils Cost Too Much so Simply Earth Fixed It! The BIG Guys (MLM) Young Living, doTERRA, etc. By cutting out the middleman, purchasing directly from producers, and bottling the oils with our own equipment based in Wisconsin, we are able to provide high-quality oils at honest prices. Each Simply Earth essential oil is GC/MS tested to ensure it is 100% pure, natural, and without any fillers. 13% of profits from Simply Earth go to organizations that are fighting to end human trafficking.